As change agents, we are committed to the wellbeing of people and a thriving planet. Who do I need to BE, how do I need to think and what do I need to do, to create paradigm shifts? Three innate, life-enhancing elements within each one nurture us on our path and sustain the results we produce: first, our universal heart of compassion; second, an empathetic burning for equity or fairness; and third, our discerning eye – seeing both invisible and visible patterns for social transformation with light and pristine clarity. By ‘universal’ we mean ‘including everyone, with no one left out anywhere’. Based on our innate capacities as human beings, we will talk about essential and inter-related ways of ‘Being-through- action’ necessary to generate produce transformational results. As contemporary pioneers grounded in universal values, we manifest our greatness through compassionate and courageous action. Can I, and will I, apply this learning to shift the current paradigms of unbridled growth and materialism that results in inequity and exclusion? In this rapidly changing world, we can generate a paradigm shift through whole systems change if we choose to do so, building on the inner power of human wisdom and personal transformation and our capacity to shift unworkable norms and systems that give rise to today’s problems. We will explore how we can design to make a difference, using the Conscious Full Spectrum Response template in order to solve problems, shift systems and based on universal values. We attune and align for whole-systems transformation at home, in our workplace and in society. Fallacy: If I embark on a journey of personal transformation, I will automatically generate social and planetary transformation. 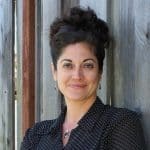 Bio: Megan Joseph, MA has spent 18 years working with multi-sector collaboratives to increase their capacity to work together for equitable and sustainable results. As Executive Director of Rise Together, a multi-county initiative to cut poverty in the Bay Area, Megan has implemented a 250 member coalition for policy and systems change, addressing issues of employment, affordable housing and early childhood education for critical populations. As Director of Community Organizing for the United Way of Santa Cruz County she founded and supported multiple sustained initiatives, including the Santa Cruz County Youth Violence Prevention Task Force and the Community Corrections Partnership Community Engagement Task Force. Megan was recognized with the 2015 National Community Indicators Consortium Emerging Leader award for her work using community indicators as a catalyst for change to reduce youth violence. Megan has practiced Radical Transformational Leadership for a decade with Monica Sharma, and over the last 8 years launched two leadership programs, Leadership for Community Transformation Santa Cruz County and Leadership for Equity & Opportunity Bay Area which together has trained over 425 leaders to design and implement equitable and sustainable social change projects. She has also served as faculty at JFK University. In 2018, Megan founded Impact Launch, a collective of social impact practitioners working to support game changing social change initiatives. Megan earned an MA in Consciousness Studies from JFK University and an MA in Criminology, Law and Society from UC Irvine. She lives in the San Francisco Bay Area.